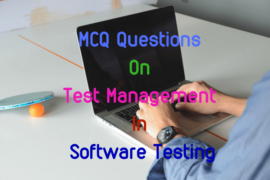 This set of multiple choice question includes collection of top 20 MCQ questions on most commonly used string methods in Java, commonly used StringBuffer methods, vector class and wrapper classes. 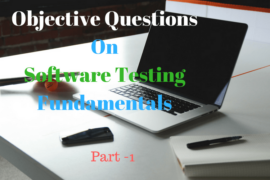 It also includes MCQs on different methods of wrapper classes like constructor methods, typeValue() method, String() method, valueOf() method and parsing method along with enumerated types, annotations, auto boxing and unboxing features in Java. 2. Which of the following are the wrapper classes? Which of the following would equal to True? 4. Which of the following method call returns negative if S1<S2, positive if S1>S2 and zero if S1 is equal to S2. 5. The method ……………………………. sets the length of the string S1 to n. If n<S1.length() S1 is truncated. If n>S1.length() zeros are added to S1. 6. Java compiler provides restrictions to perform which of the following conversions. ii) Convert to the null type other than the identify conversion. iii) Convert from any class type C to any array type if C is not object. 7. We can use …………………….. feature to convert primitive data types to wrapper class types automatically. 8. Which of the following is/are the advantages over arrays. 9. Primitive data types may be converted into object types by using the contained in the java.lang types by using the ………………… contained in the java.lang package. 10. You can convert sting objects to numeric objects using the static method ……………..
11. We can convert numeric string to primitive number using ……………………. 12. …………………. in wrapper classes are used to convert primitive numbers to object numbers. 13. The ………………………. method is used to convert object numbers to primitive numbers. 14. State whether the following statements about the advantages of enumerated types are True or False. 15. ……………………….. feature merge additional Java elements with the programming elements, such as classes, methods, parameters, local variables, packages and fields. 16. If you need to extract more than one character at a time you can use the …………. 18. …………………….. method is used to remove any leading or trailing white space that may have inadvertently been entered by the user. 19. The …………………………. method converts data from its internal format into a human-readable form. 20. The …………………… method concatenates the string representation of any other type of data to the end of invoking stringBuffer object.